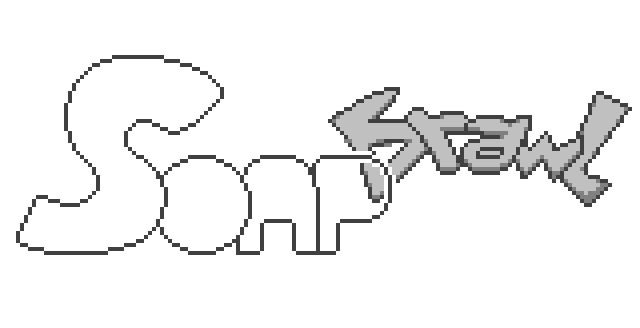 Soap Brawl is an old school infinite beat'em up where you forcefully reintegrate homeless people into society. Year 20XX. Unemployment became the bane of society. Almost every human on earth became homeless and now wanders endlessly in the streets of Soap City. However, a single warrior of cleanliness, Janloui, struggles against dirt and sweat, and stands as the last hope of decency in this depraved world. 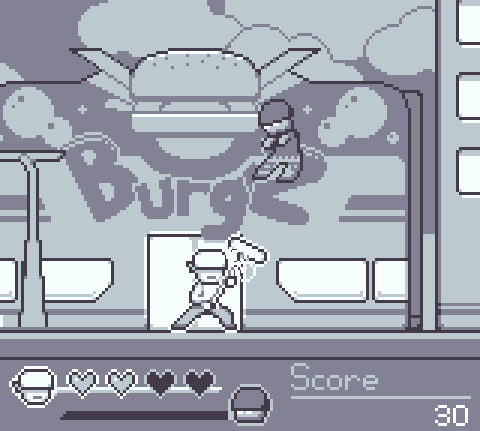 A silly game created for the GBJAM #5. A fix for a crash on some platforms has been released as a separate file. 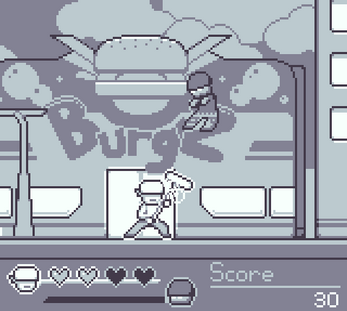 The original game (the one that was uploaded for the #GBJAM) is still available. An installer for the game is also available if for some reason you can't run the others versions (especially on older platforms). What an amazing game ! Good work boys, realy nice mechanics, physics and DESIGN!!!!!! kind regards, a man who loves merguez. Hey I was wondering, I have the "not a valid win32 application" error, and I'm running an XP. I thought this was due to Game Maker changes but the developer of Maybe We're Magic uploaded an installer for his game and that made it work. I was wondering if that would be possible for this game ? Allright, I'll upload an installer for the game ! Very funny game and its controls are so accurate that make it too easy to learn, explore and to create strategy to play. 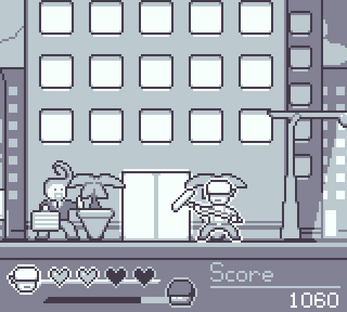 The game instructions are clear, the graphics are so nice and the animations and mechanics fits very well. The hud is very simple but enough to say everything that needs. Come on... Homeless people have enough crap to deal with without a game about "forcefully reintegrating" them into society. Indeed. But don't take our game too seriously :) . It was just a silly idea we had while brainstorming. Of course we don't support "forcefully" reintegrating homeless people into society, and there is no social message in our game. I just had a friend lose everything and now she's struggling on the streets. I might have taken your blurb a little seriously, but it's kind of a crappy message. Glad to hear that's not the intention! I can't play because it shows me an error report. Oh, that's interesting, I didn't expect any issue from the shaders ... If that doesn't break the rules of the jam, I'll upload a version without them (It should only affect the colors anyways). An updated version of the game is up, it should fix your problem ! Thank you! At now I can't play in Windows, but I'll do that soon as possible. I like the art and urgent music. 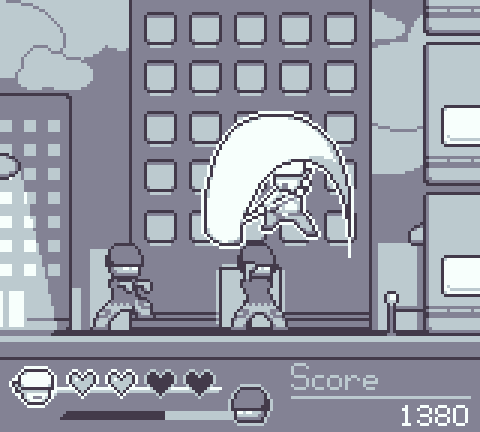 The palette does a bit of an oldschool feel to it. 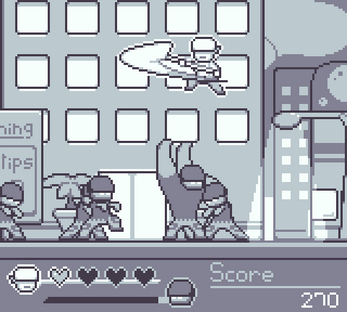 I wasn't really seeing the enemies as "homeless" people, almost thought they were burglars and then I read the description. 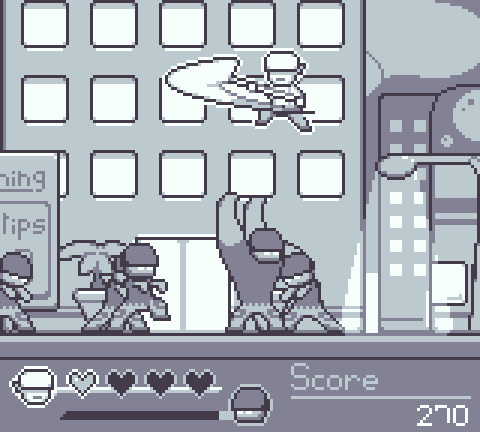 XD This could work great as a more level based game, with bosses and the like and maybe a more complete story arc (The poor warrior doesn't succeed in his missions? :( ). That aside, the game definitely got a laugh of enjoyment out of me.